A new site http://www.theliturgists.com has just sprung up. It’s very contemporary poetry, music and Christian meditation. It’s not great-grandma’s church, honey. 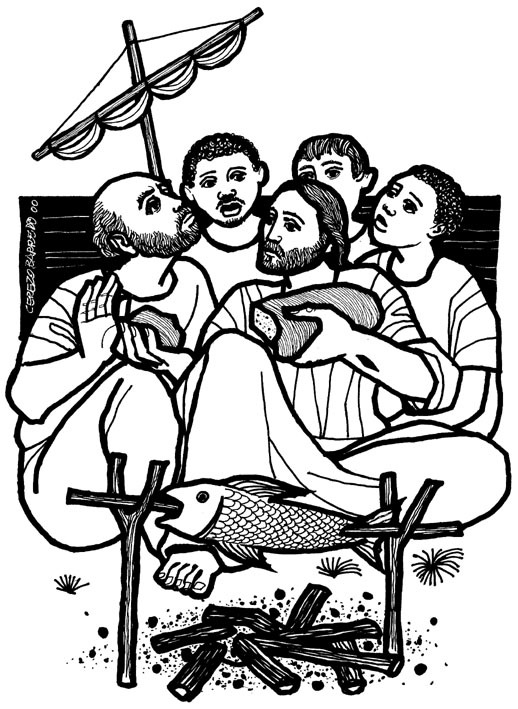 A reminder that the NZ Prayerbook / He Karakia Mihinare is available online, and it is easy to copy and paste its contents into your liturgies and booklets. Source should be acknowledged and “used by permission of the General Secretary”. 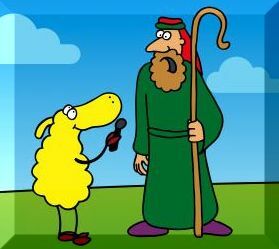 Here’s a cracker, which although designed for the Parable of the Lost Sheep, has the same emphasis on “hear my voice”. Be sure to click on the Activities link, and then you can download .pdf files which include a teaching game and some pretty cool colouring in sheets for kids. Free to use. Cecil the Sheep and the other storybooks and purchasable downloads might be just the thing for your children’s ministry! David Ewart has written an excellent background piece on the lection from John. In it, he discusses the subtlety of hearing and knowing the voice of Jesus, rather that just knowing about him. This would make a useful core idea for a sermon, especially if the voice of Jesus is contrasted with other voices we are urged or tempted to listen to. The congregation could be asked what some of those alternative voices are (expensive goo that is supposed to deny the reality of ageing and dying, for example). To hear and to follow! Life itself is a process whereby I become increasingly able to recognize Christ’s voice and follow or I become enamored with my own voice (like the demons, the Religious Leaders and the Nazarenes) and reject his call. Everyday I must practice listening, everyday I must place myself where I can hear his call, or everyday I will come to mistake my voice for his. With younger people and children, a game could be played to see if they can recognise the names belonging to voices from the congregation – perhaps reading this lection! Another idea would be to choose some words of Jesus from a very contemporary version of the Bible such as “The Message” and have them read alongside words from other faiths or philosophies, and see if people can discern the words of Jesus. If you have a data projector, advertising images could stimulate thinking about the “other voices” that surround us. The Prayers of the People could involve periods of silence – “listening prayer” and include prayers for wisdom for leaders. This would be a very appropriate Sunday to pray for +Ross, our new bishop, and his family. How about this for your bulletin or screen? Google Translate will automatically provide English captions etc – this is easy to have in your browser if you use Google Chrome [Google’s free Internet browser] (Recommended).